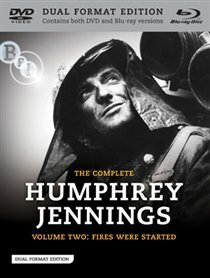 This Dual Format Edition completes the BFI’s acclaimed Complete Humphrey Jennings Collection, making available all the films directed by Britain’s greatest filmmaker available on Blu-ray and DVD. 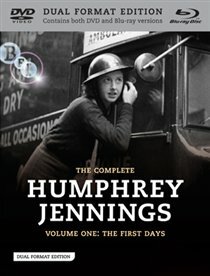 The films of Humphrey Jennings have proved hugely influential over the last 60 years – this can be felt in the works of Lindsay Anderson (If.…) and more recent filmmakers, such as Kevin MacDonald (Touching the Void, Marley). 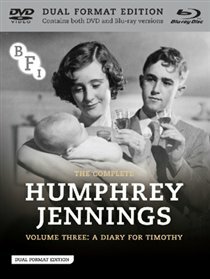 Jennings was also a major influence for Frank Cottrel Boyce and Danny Boyle, whose 2012 Olympics ceremony used Jennings’ book, Pandæmonium as its inspiration.